Jamie Lewis (Woking) has won three individual apparatus medals at the 2018 Junior European Championships in Glasgow, becoming champion on floor, winning silver on pommel and bronze on rings. Jake Jarman (Huntingdon), one of the youngest member of the junior team also impressed, winning silver on vault. Having won team silver and all-around silver on Friday, Jamie returned to compete on pommel first, showcasing his ability as an accomplished pommel worker to score 13.733. That put him in first place, but he was pipped to the title with the last routine of the final by Italy’s Edoardo De Rosa with a score of 14.066. It was straight over to floor next for Jamie where he completed a clean routine, sticking nearly all of his landings for a score of 13.833 after an inquiry was accepted by the judging panel. That was enough to see him top the podium. GB’s Pavel Karnejenko (Notts) also competed, scoring 12.866 for sxith. Jamie was again in action on the next piece having qualified for the rings final. Against tough competition, he took bronze with 13.700 to complete the set during a brilliant morning for himself and GB. Speaking after, Jamie said: "My landings (on floor) were really nice, and I'm so happy to win gold. I had a nice clean routine on pommel. I was a little shaky but managed to get through it. Rings, I wasn't really expecting too much because the competition was so strong so I was delighted to win bronze. "I've got to start pushing my elements up now, and i'll be going away from here working really hard to improve my skills ready for turning senior, because I know it won't be easy." Jake still has a year left of being a junior but looked right at home in the vault final. His opening vault, a triple twisting Tsukahara carried huge difficulty for a score of 14.600, and he only took a small step on landing his second vault for 14.000 for an average of 14.300. That score was enough to win silver, just missing out on gold to Sviataslau Dranitski of Belarus who scored 14.333. 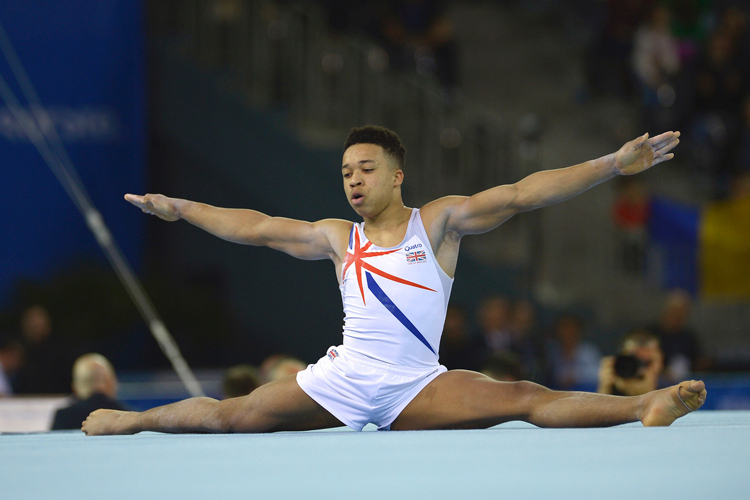 Donnell (City of Birmingham), also competing in the vault final, scored an average of 14.150 for fifth place, missing out on a medal by 0.150. Jake was back for the parallel bars final finishing 8th, and in the high bar final Donell finished in 7th. For all of the videos from the junior GB gymnasts, go to our dedicated event page.